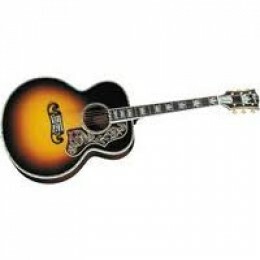 There are some that say that the Gibson J 200 is the world's best known guitar. I don't think so, I think that the Martin D 28 is the world's best known, and most sought after guitar. The D 28 is the standard setting instrument in steel string acoustics, and it always has been - and continues to be. There are now so many companies making so many variations on the classic D 28 design that it boggles the mind. 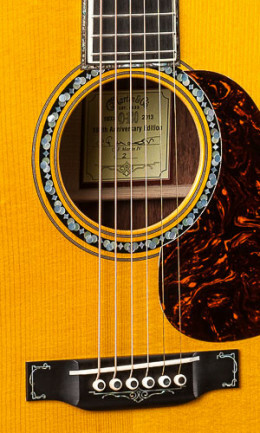 Martin itself makes many varieties of the D 28, and all of them are wonderful guitars. 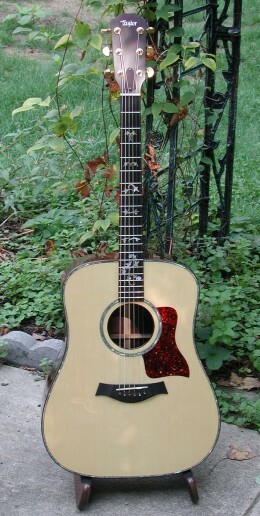 The Standard for Acoustic Guitars and Flatpickers, The D 28 by C.F. Martin & Co.
From the time I was twelve years old up until the time that I was a senior in high school, in Kaufman, Texas-I played the acoustic, and sometimes the electric guitar constantly. My first name brand guitar was a Gibson LG-O, that my grandfather, Argus Troy, "A.T." Coker bought for me. The problem with that guitar was that I got it before my teenage growth spurt set in, and as I grew larger. . .. that guitar became too small for me, and the time came for an upgrade, not only in the size of the instrument I needed, but the quality of instrument as well. I was playing non-stop then, and it seemed a realistic possibility that I might turn out to be a professional musician. It's not that the Gibson was a "bad" guitar, Gibson doesn't MAKE "bad guitars." The thing was just too small for me, and I was quickly turning into an impressive flatpicker at that time-and the Gibson wasn't a guitar that produced a loud, clear enough tonality for my talent or playing to be heard-especially when playing with other people. Acoustic guitars are never as loud as a fiddle, a mandolin, and certainly not loud enough to be heard alongside a banjo. Luckily for me, my guitar instructor, a man named Scott Miller, was very well liked by my entire family, and indeed, the entire community here in Kaufman, Texas. Scott went to my parents, and my grandfather and said something like, "Look, Todd has some real potential-and what he really needs is a professional quality guitar on the level of a Martin D-28." The C.F. Martin & Co. D 28 Vintage Reissue. I've owned one - very tough to beat. The Martin D 28 - It's an American Classic with more years of credibility than the competition. Martin Guitars-Legendary for Sound and Playability. No, the statement by Mr. Scott Miller, my guitar teacher didn't alert me to the quality of Martin guitars, or their D-28. It was something that I'd long been aware of from spending countless hours with my grandfather, A.T. Coker. In fact, I already knew much of the history of C.F. Martin & Co because of him, and I even knew a lot about tonewoods, and bracing, and even more. What surprised me was that I'd achieved a level to where folks would actually present the idea in public that I should have such a fine instrument! C.F. Martin & Co. has ALWAYS been the standard by which other guitars were measured, but I'm not exactly certain when the D-28 became their standard bearer. I suspect that it was in the 1960s when Doc Watson, and Clarence white-and the folk music revival became a cultural phenomenon of benefit to us all. The D 28, Solid Spruce Soundboard, High X Bracing, and Solid Rosewood Back and Sides. Essential Specifications, and The "High X"
So Todd, what is it that make the Martin D-28 so special, besides the company that you seem to think so highly of, and the fact that it's a pop culture item in the world of acoustic guitarist? soundboard, and solid rosewood back and sides. There are, however, many different combinations of rosewood and spruce that have been used in the past, and are still being used today in this model guitar. 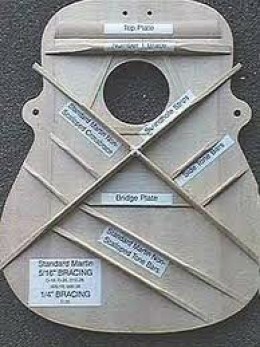 Besides the solid rosewood and spruce, the "X" brace is an essential design characteristic of the Martin D-28, and the picture to the right is more specifically, of the HIGH X BRACE. There was a time when Martin guitars deviated from there classic "high x brace" and went to using what I'll call "merely an x brace." The thing is, the classic high X brace allows the solid spruce soundboard to vibrate more freely, and produce a longer sustaining, louder, more quality tonality. 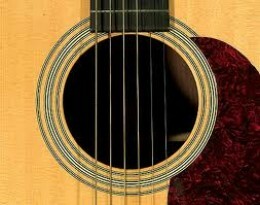 The next picture down is a closeup of the D-28 soundhole, and it's herringbone trim. 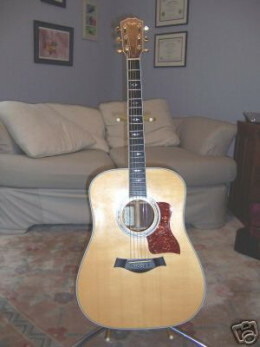 Again, there have been D-28's produced without the herringbone trim, and those are typically the D-28 guitars that also do not feature the high X bracing. Those guitars without those specs are still bound to be wonderful guitars-but they may be more useful as a rhythm guitar, rather than a guitar that will be used for playing leads. Wesman Todd Shaw, and His Santa Cruz D 28 Copy. The Collings Clarence White Guitar. The Highest Form Of Flattery. So, if you recall the story up above-about me, and needing a great guitar that would last me the rest of my life. . .what did I wind up with? Well, I saved my pennies, and I saved my dimes-and I landed a winner that I've never thought once about parting with, and it's made by the wonderful Santa Cruz Guitar Company, in Santa Cruz California-where they still hand make their guitars. If you'll notice the guitar underneath the picture of me and my Santa Cruz, you'll be looking at what I call a "super D-28," and it's the Santa Cruz Tony Rice Model Guitar. Look at the picture below that one, and you are seeing another "super D-28" and it is a Collings Clarence White guitar. Let me explain: The TonyRice model Santa Cruz, and the Collings Clarence White model are virtually identical as they are both copies, VERY fine copies of one particular guitar, and that is the 1935 D-28 that belongs to Tony Rice. Huh? Then why is one called the "Clarence White Guitar?" Because Clarence white was killed by a drunk driver a very long time ago, and Tony Rice owns his guitar now. It's probably the single most famous Martin D-28 in the world. I should also mention that neither one of these guitars match a classic D-28, as they were designed to match the particular one that Tony Rice ownes-and that one has been modified a good bit. I'll also mention here that I bought my guitar from John Hollman, the man who designed the Collings Clarence White for Bill Collings-who I've also met on one occasion. Any and every D-28, or accurate D-28 style guitar is bound to be a wonderful instrument should it be constructed with the traditional solid woods mentioned. I hope you've enjoyed reading some here about the famous American guitar Icon, the Martin D-28, and the two other TOP OF THE LINE companies that also make a D-28 style guitar, and in fact, they each make SEVERAL D-28 style guitars. Please don't be upset if I've left out your favorite company, and it's D-28 style guitar-there are far too many for me to even mention the ones that I know about, and have had my hands on. We'll do them justice another time. As always, never hesitate to contact me with any feedback or suggestions in the comments, or with a message. Thank you! Marking the one hundred and eightieth anniversary of C.F. 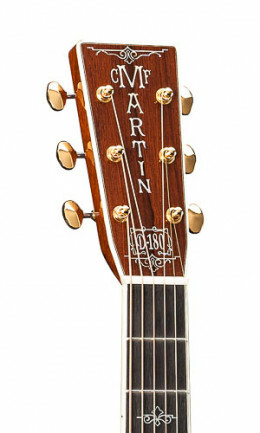 Martin guitars in the USA, the D-180 is a stunningly beautiful guitar. The Martin D-180 Commemorating the 180th anniversary of CF Martin & Co. The Martin D-180 and the Most Beautiful Rosette I've ever seen. That rosette is amazingly gorgeous! To commemorate the one hundred and eightieth anniversary of their existence, C.F. Martin & Company created one of the single most beautiful acoustic guitars ever seen. This guitar is stunning in every way, visually, tonally, and historically. 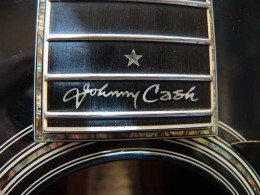 It's a celebration of the world's finest and most celebrated acoustic guitar manufacturer, really, and C.F. Martin & Company are definitely a thing to be celebrated. If you're like me, then you literally lust after guitars for their play-ability, tonality, and beauty. This D-180 by Martin is going to be something like a super swimsuit model to people like you and I. A trophy guitar. We all know such things cost a lot of money, and this D-180 is no different, it's very pricey. I'm seeing them new online for $13,999. Probably less expensive than any swimsuit model, and it's definitely less expensive than a corvette, but to persons like me, probably something I'd appreciate more than either. While this Martin D-180 is very expensive, it isn't anywhere near the most expensive guitar Martin makes or has made. 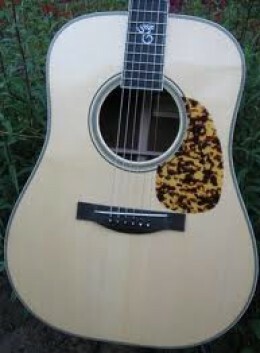 Instruments like the D-50 Koa Deluxe are more expensive instruments, and then there are even more expensive ones still. This guitar, however, and in my opinion, is more beautiful than those. So far as similar guitars, well, there are none insofar as the exquisite abalone inlay on this instrument goes, but as this is a guitar with Madagascar rosewood for its backs and sides, the Martin D-45 Madagascar is one to consider as an alternative. Just what is it which makes me think this particular dreadnought out of all the many models ever made by Martin is the single most attractive of them all? What's so special about this thing anyway? Well, to me, it's the abalone inlay. I think of the rosette on this thing as the very most beautiful one I've ever seen. Another of the major points of beauty here are the finger board or fret board positioning markers, and those are entirely unique to this instrument as also is the lower inlay on the head stock.Now I know others may not care for it at all. I've no problem with that, some folks prefer the pure simplicity of a Martin D-18, and you'd best believe that I do as well, I've owned a D-18 in the past, but to me, this D-180 is without question the most attractive guitar to my tastes. So far as the specifications for this guitar go, it is a D-45 built to golden era specifications except that the particular rosewood used is from Madagascar and not Brazil. The other major differences are the abalone inlay, which is unique to this guitar. It's plain and simple to see that nowadays Madagascar rosewood is a big deal, and it seems as though most everyone wants to own a Madagascar rosewood dreadnought. 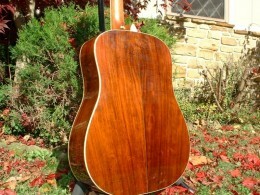 Essentially, it is a very attractive wood with more coloring and grain pattern variety than is East Indian rosewood, but were you blindfolded and handed various and sundry instruments, some with the Madagascar rosewood and others with the East Indian variety, you're not going to be able to tell which guitar is of one wood and which is of the other. Besides making world class acoustic and electric guitars - Gibson also makes what is easily the world's most loved, desired, and most easily recognized mandolin, the Gibson F5. I've been a huge acoustic and electric guitar music fan my entire life. 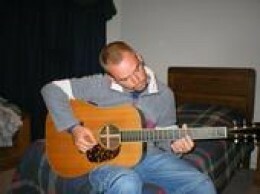 Primarily I've always played acoustic guitars - but spent a lot of time listening to all kinds of guitar music. But the guitar is only one of the stringed instruments out there - and it's not always been the stringed instrument that has got or deserved the most attention. The violin, or fiddle is that instrument, but the guitar has a bit of a cousin, or maybe "step cousin," that is a closer relative to the violin than anything else, and that is the mandolin. I love hearing a mandolin being played, and especially should it be played well. No mandolin in this world is more famous or desired than is the Gibson F5 mandolin - a truly legendary instrument who's legend not only will not go away, but continues to grow. During the early part of the 20th century many of the world's finest acoustic instruments were made. Primarily C.F. 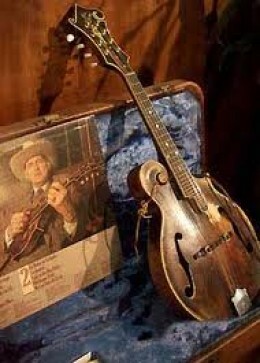 Martin & Co. and the Gibson corporation made these instruments, and perhaps the most famous American luthier then, and now was a man named Lloyd Loar, the designer of the Gibson F5 mandolin, and the Gibson L5 guitar. Of course Lloyd Loar designed other instruments as well - but none of them will ever have quite the same level of admiration among the masses as does the Gibson F5. It's tough to compare anything to the legendary work of Stradivarius, but a Lloyd Loar Gibson F5 mandolin is an American instrument that in time will have that level of respect, awe, and admiration. Lloyd Loar has been out of mandolin making for a long time, and of course Gibson still makes the F5, and of course the F5 is still an amazing instrument, and the preeminent mandolin for folk, Celtic, and Bluegrass, and many another genre of mandolin to own. Hey, perhaps you are an ambitious but very skilled woodworker, and want to build your own F5 mandolin - I've got just what you want and need right here, buy the amazon.com F5 mandolin template just to your right, and have at it. Please let me know personally if and when you do this, and build your mandolin. I want to know. I want to see it - heck, I want to play it! The Beauty of the Gibson F5 Mandolin. The beauty of the Gibson F5 mandolin is obvious to the eyes. Just look at the thing. Clearly a master woodworker had to have created it. It's not going to be something just anyone could do, and before the Lloyd Loar F-5 mandolin was produced by Gibson - mandolin's typically had a rather plain, pear shape as a rule. Now, you don't have to have an F5 to have a beautiful mandolin, and for the most part - the beauty of a mandolin is in it's SOUND - so clearly there are many another great mandolin out there, and trust me on this one, just because Gibson makes the F5, that doesn't mean that the design of the Gibson F5 isn't copied by, literally, hundreds of other mandolin manufacturers. Just as we see with the classic designs of Martin acoustic guitars - the F5 design is copied in cheaper instruments, and even higher end instruments than the original. If you buy a NON Gibson F5 copy - then be certain that you do your research to find out just what exactly the value for that specific mandolin is before you buy it. Looking like an F5 in no way means that a mandolin is anywhere near the value of an F5. The Gibson F5 Mandolin Specifications. With a solid spruce arched top and carved "F" sound holes and solid figured maple backs and sides - these fine mandolins are truly an investment, they aren't toys, and the price will definitely let you in on that fact. One needs to realize that the wood working involved in the creation of a masterwork such as the Gibson F5 is very, very taxing and precise. The people that own these mandolins make a living from playing them very often - and if not, they make side gigs for pay, or often give lessons for pay. Buckle yourself in, the Victorian Model F5 goes for around $15.999,00. Do you see what I mean? Now, just like a Martin D 28 or D 45 - there are less expensive versions of these - but they are going to start out new at about $7,000.00. These are definitely PROFESSIONAL grade instruments. Hey, I've had my hands on one for a week at a time before - but someone went out of town, and thought it safer at my house with me than either left in his home alone, or on the road with him. Call me "Lucky." 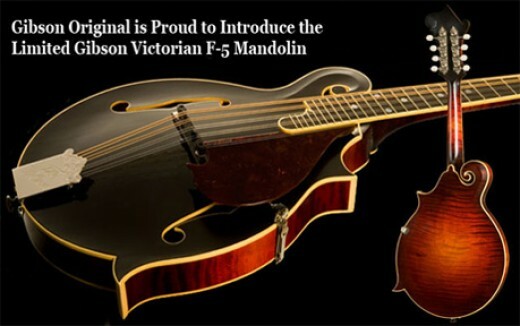 The Gibson F5 Victorian Limited Edition Mandolin. One does not need to own a Gibson F5 mandolin to make beautiful mandolin music - and neither does one need to own a Gibson F5 to learn to play the mandolin. 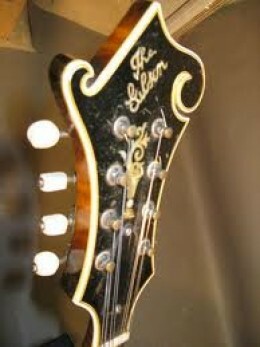 These mandolins, and especially the GOLDEN GOOSE models actually made by the designer, Lloyd Loar, are the premier mandolins in the entire world. It was my purpose here to merely introduce you to these instruments should you not know about them. A good beginner's level mandolin can be had for a bit over $500.00 new, and if you shop around in pawn shops while having researched mandolins on the internet, then you might come away with a real bargain in a used one for considerably less. The facts are though, that if you come across a real Gibson F5 - you need to be serious when you talk to the owner about buying it. If it's stolen, then you are on your own, and should the wrath of the owner come upon you - that's your problem to deal with. When it comes to high end, very expensive, and beautiful steel string acoustic guitars - people most often think of Martin guitars, or Gibson guitars. Now, there are many, many other guitar manufacturers making beautiful steel string guitars, but surely Martin and Gibson are the best known. When it comes to flatpicking steel string acoustic guitars, however, nobody beats Martin - but then again Gibson has it's massive, beautiful, and loud J 200, and it's even more expensive and beautiful sibling the J-250 Monarch. Jimmy Page, Elvis, and John Lennon all Played the Gibson J 200. 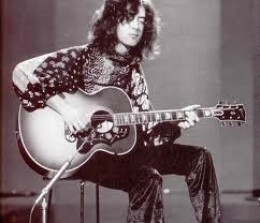 Jimmy Page used a J-200 for a lot of the acoustic guitar on the first Led Zeppelin album. 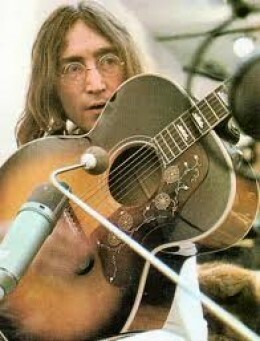 John Lennon and all the Beatles forever preferred Gibson and Epiphone guitars. 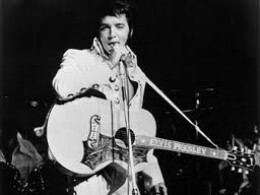 Elvis Presley always used either a Gibson or a Martin guitar. 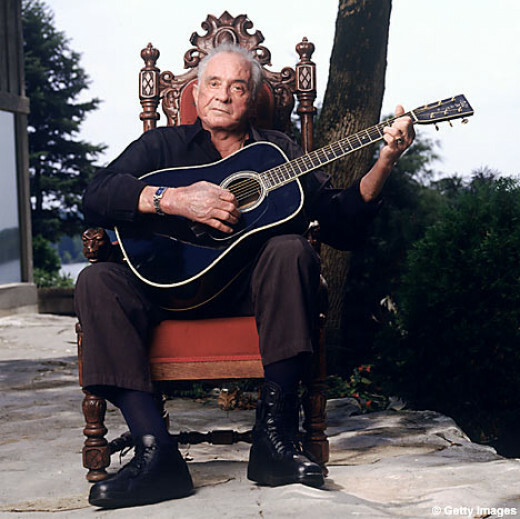 Johnny Cash, Another Great With A Gibson J 200. 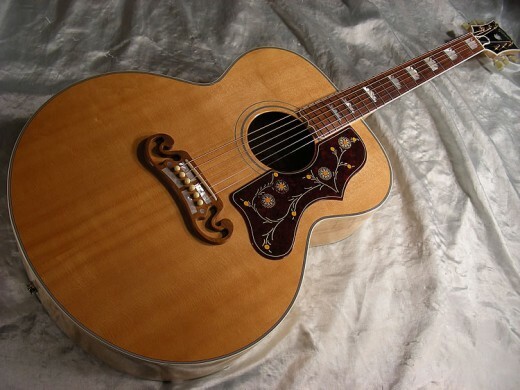 The Gibson J 200, a Loud Jumbo American Guitar Classic. The Gibson J 200 debuted on the American music scene, and indeed, the entire world in 1937, during the era that had been called "the golden era" of American acoustic guitars. 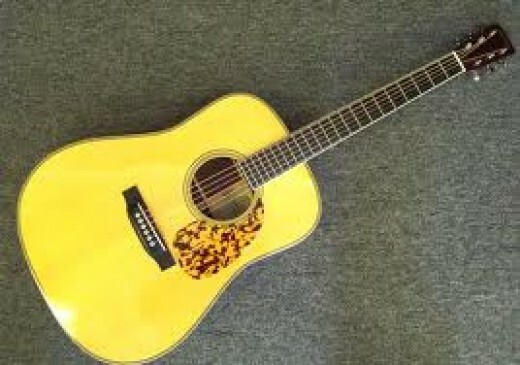 It's said that the J 200 is the most famous acoustic guitar in the world. That might be true, or it could be that the Martin D 28 is the most famous acoustic guitar in the world. I think the answer here is more a matter of opinion than fact. The Gibson Guitar company has always competed with C.F. 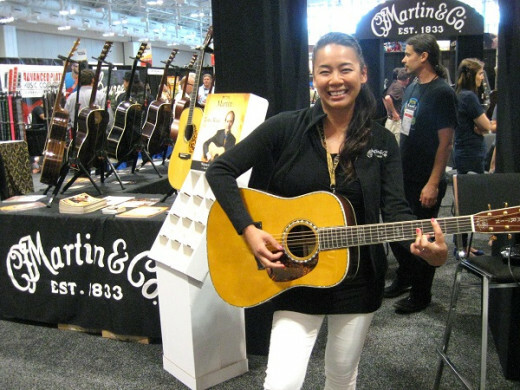 Martin & Co. for top slot in quality, reputation, and sales of acoustic guitars in America, and the entire world. When it comes to competition with Martin guitars, the Gibson J 200 is the one guitar that they produce that really CAN compete as a fine, high quality instrument for flatpickers. But the J 200 is much more than that. So what is a J 200? Well, visually, just look at the thing! The "J" stands for "Jumbo," and the J 200 is certainly one of the largest, if not THE largest standard production model guitar in modern acoustic guitar manufacturing. I considered for about a half a second that someone might wonder why I put James Patrick Page, and his picture above the pictures of Elvis Presley, and John Lennon. Are You Kidding ME? If you are reading this, then I assume that you are a guitarist, and no guitarist would question the order in which I placed those pics. So what, then, is a SJ 250 Monarch? It's simply a fancier version of the J 200. It's not any bigger, but the "SJ" stands for "super jumbo," and it's definitely a super guitar. The SJ 250 Monarch also features more abalone, or "mother of pearl" inlay than does the J 200. It's a very similar appearance upgrade to what you see in the differences between a Martin D 28, and a Martin D 45. Also, it's tough to miss the beauty of the gold plated tuning keys that the SJ 250 Monarch features. This wonderful, loud, and beautiful guitar has been priced between $19, 999.00 to $25, 771.00 new and retail. 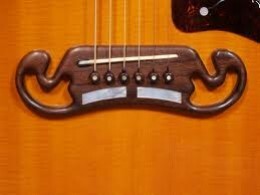 characteristic that the Gibson J 200 features is it's unique and lovely Mustache bridge. With any J 200 or SJ 250 Monarch by Gibson, the customer is going to be paying a lot of money for one of these instruments. What should always be understood is that these instruments are heirlooms and investments, and not "just" fine guitars. When the Gibson J 200 debuted in the late nineteen thirties, it was made with a solid Adirondack "red" spruce top, and Solid rosewood back and sides. Later, the guitar's tonewood material for the back of the instrument and the sides was changed to solid Maple. Now Maple is a traditional tonewood for stinged instruments, it's beautiful, can resist the tension produced by strings and tuning keys for lifetimes, and even the famous Stradivarius violins are mad of maple. Figured maple is always beautiful, but I'm told that figuring with Maple makes zero difference regarding the tone produced from it's use in stringed instruments. I have to admit that I'm completely influenced by a guitar's tone, and not much concerned with it's beauty. It's a musical instrument that we're talking about here, not a runway model. I've also been told that the Maple on these very large Gibson Jumbo guitars truly helps their tonality, and brings out their best characteristics because maple allows for clear separation of the notes, and helps overcome some of the boomieness of these large instruments. Facts are, I want to play more guitars with solid maple back and sides, so as I can make some more pointed observations concerning their specific tonality, and tonal characteristics. Today, the base model Gibson J 200 features solid Sitka Spruce for it's soundboard, and Solid maple for it's back and sides. It also has a rosewood fingerboard, rather than ebony. The Gibson J 200, and it's more expensive and beautiful brother or sister, the Gibson SJ 250 Monarch are amazing guitars, sound investments, and wonderful instruments of heirloom quality. They are exceedingly loud guitars, and this is their most valuable characteristic. A loud acoustic guitar is a million times more desirable to own than a quite one. These guitars are loud enough for someone to perform playing one without amplification, should the venue not be too large. The SJ 250 Monarch is also a fine competitor to any of the C.F. Martin and Co. production model guitars of the Martin D 45 line. Both the Gibson and the Martin have huge amounts of fine, precision cut abalone inlay, and gold plated tuning keys. Any Good solid wood Martin guitar is bound to be a loud guitar if played by a pro, who is trying to be heard. You can also "hot rod" most any acoustic guitar to make it louder, there are also some other things that can be done to increase a guitars volume, and I'm talking about doing so without adding any amplification. Or, you can buy a Gibson J 200, or even a Gibson SJ 250 Monarch. I've played these guitars, and they are the loudest guitars that I've ever played. 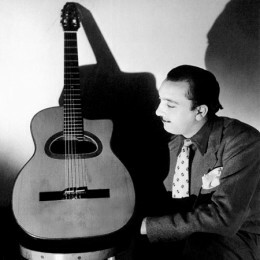 Django Reinhardt is possibly the single most influential guitarist in the history of the instrument. Before Django it was VERY seldom that the guitar was every played as a lead instrument at all, and Django's style was technically astounding, even were he have had full use of his left hand, which he didn't. Long before people like Doc Watson and Clarence White brought the guitar to the fore as a lead instrument in the minds of American musicians , there was Django Reinhardt. Django Reinhardt many years before the folk revival had proven to the world what an incredible voice the six string acoustic box had, and he'd already revolutionized the guitar as a lead instrument in the world of jazz. Not only that, he created his own form of music, a sub genre of jazz known as Gypsy Jazz. The year was 1934, and the French as a people weren't into jazz - they considered it a lower class music. A man named Pierre Nourry, however, was determined to make jazz something special in France. He headed something called the Hot Club, but the Hot Club was not a club at all - it was a floating party of jazz enthusiast that held jam sessions when possible. Pierre was in a state of distress, as the musical leader of the club, a pianist named Freddy Johnson, was moving back to the United States. "It can be said that he was the revelation of the concert. He is a curious musician, with a style like no one else's. We have a great improviser in Paris!" Every great musician needs another musician to provide some back and forth with. Would we have ever come to know Paul Simon without him having Art Garfunkel? What about John Lennon? It's doubtful that without Paul McCartney, that we'd have ever heard much about either one of them. "I still did not know Django very well, but sometimes I would sit backstage and listen to him play. One day to amuse myself, I started to play along with him. The effect pleased both of us, and we went on to play some more tunes. The next day we waited impatiently for the intermission so that we could go and play backstage again!" Lots of folks who know music know a good thing when they hear it the first time, and Pierre Nourry knew he had a good thing going with the combination of Stephan's violin and Django's guitar. Pierre then hustled up another recording deal - this time featuring the beautiful improvised leads of both of them, and a back up band. In a time when a good jazz record would only sell a few hundred copies in all of Paris; the Hot Club's first recording with twin soloist, Grappelli and Reinhardt, captured the imagination and the favored pens of all Paris music critics. What is so hard to believe is that the music that Django Reinhardt played in his professional career - speedy, unique, intense, improvised, and altogether that of a genius - was all done with a severely disfigured fret board hand. 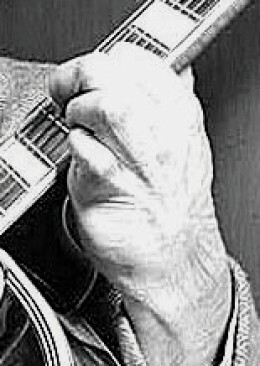 The few people in the world who can play what Django played in his lifetime, are all doing that with four good fingers. Django Reinhart did it with only two with the exception that he could use his third and fourth fingers on the first two strings of the guitar. What happened was that he had thought that he'd heard a mouse in his little caravan trailer that he and his new bride lived in. His wife had had the trailer full of celluloid flowers that she intended to sell the next day. On hearing some scurrying on the floor, Django took a candle and held it low to see, and he ignited the highly flammable cellulose, which started an instant bonfire inside his home. Django and his wife both escaped, but he was permanently disfigured. Doctors even wanted to amputate one of his legs, but he wouldn't have it, and left the hospital for a nursing home where he was given great care, and was able to keep his leg. He was only eighteen years old then, the year was 1928. Quintette Du Hot Club De France. The Hot Club of France had a few minor set backs at the start, but on February 23, 1935 - the five opened for jazz great Coleman Hopkins in Paris, and then began to attract ever larger crowds. Within a year they were touring all of Western Europe and with the biggest names in jazz music. By 1936 they were selling out all of their London concert dates faster than even Duke Ellington, and they did it all with a style of music that was totally unique. Django wrote most of the tunes, and there was no need for percussion because of the brash and abrupt three guitar rhythm section employing tremolo chords, syncopation, and tremendous energy. 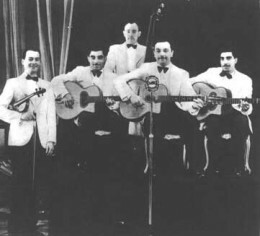 The Hot club band, besides having Reinhardt and Grappelli, consisted of the rhythm guitarists Joseph Reinhardt (Django's brother) and Roger Chaput, and bassist Lois Vola. These, however, were only the primary and original members, and others came and went at whims or due to Stephan and Django's demands. I've got one album where Reinhardt is basically chastising his rhythm section during a tune - for sloppy play, and not keeping in time with him. He had absolute perfect pitch, and the slightest note out of key could infuriate such a man. Grappelli and Reinhardt would go on to record 339 tunes, in all, before World War Two. What sets the Hot Club apart as a group is that they were the very first jazz musicians to gain acceptance as true masters of their art - that weren't Americans. Selmer Maccaferri Guitar, and The Incomparable Django Reinhardt. 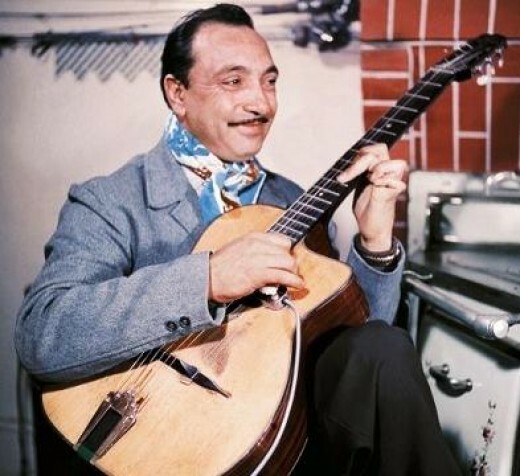 Django Reinhardt, Style and Legacy. It's not much of an exaggeration to say that whether or not you care for the jazz of the Hot Club of France, that no guitarist has ever been as influential as has been the play and style of Django Reinhardt. The highly charged lyricism of his work is very conversational in sound. He sounds as if he's singing or even sometimes, screaming at you through his guitar solos. Characterized by intense energy, staccato notes, octave lines, and lyricism - Django's technique is astounding, it moves into the area of being almost unbelievable when one realizes that he only had two fully functional fingers to work with. Django Reinhardt was a Tzigane, a Romanian Gypsy born in a Gypsy caravan near Charleroi Belgium in 1910. Gypsy men were often (and still are) more fond of living by their wits than by the conformity of steady employment, and that leaves lots of time for playing music. I suspect that they sometimes enjoy their lives, by and large, more than the common conformist does. At twelve years of age Django got his first instrument, a banjo with a guitar neck on it; but thirteen he was accompanying his uncle and playing in clubs. 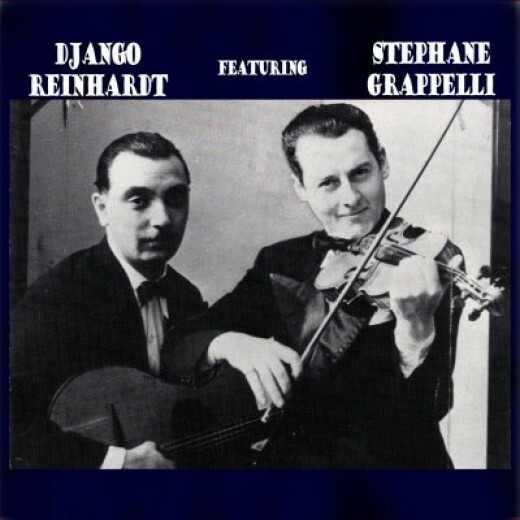 At sixteen years of age Django made his first recording with an accordionist named Jean Vaissade - Django's name appeared on the record as Jiango Renard - Django Reinhardt had attended exactly one day of school in his entire life. The fire that disfigured the man at a very young eighteen years of age had to have been exceedingly traumatic for him. He had to re learn the entire instrument while only using two fingers. Luckily for Django, and the rest of the world - his index and middle fingers on his left hand were both very long. It's been asserted with Django as proof - that musicianship is more a mental skill than a physical one. It's has been said that Django could NOT play out of tune, out of key, or ever make a mistake even. He could play any tune in any key at any time he desired. While he didn't even know what the names of the chords of anything were - he was more acutely aware of them than perhaps anyone has ever been. Gypsys during world war two were put into gas chambers as were any deemed retarded, mentally ill, homosexual, or Jewish. It's a sad thing of history that really only one of those groups seems to get remembered. It's lucky indeed for Django that he was a star to the Germans as he was to everyone else. During his lifetime he was truly a world wide celebrity. During his life, however, Django Reinhardt's music wasn't appreciated in America. In his final years Django adopted with the changes in the seas of time, and incorporated bebop into his style, making it, of course, his own. He even started dabbling with the electric guitars which he'd previously been so suspicious of. After a night of playing in a Paris nightclub in 1951, he suffered a brain hemorrhage and fell dead on a rail station sidewalk. The impression he left, and the entire style of music that he'd created almost single handed, however, will live on so long as Humans do. Willie Hugh Nelson is an American icon who needs no introduction. We'll introduce him here just the same. Here in Texas where I've nearly always lived, Willie doesn't even need his surname used. If you start talking about 'Willie,' everyone will know who you are talking about. The man is a real artist, and like are true artists, he is a nonconformist, and a rebel by nature. He says what he means, and does whatever he thinks is best, laws be damned. The world needs a lot more persons like Willie Hugh Nelson; and a lot less of the types who say what they think everyone wants to hear, and forever dances to the government's official drummer. I grew up with Willie Nelson. He was a family member by proxy, if you will. You see, my mother's folks are often folks who play guitar and sing. Very often they play guitar and sing Willie Nelson songs. I started joining in with all of that at eleven or twelve years of age. I hung out with my grandfather a lot, and the grandfather was forever buying, selling, repairing, and trading in guitars and stringed instruments. 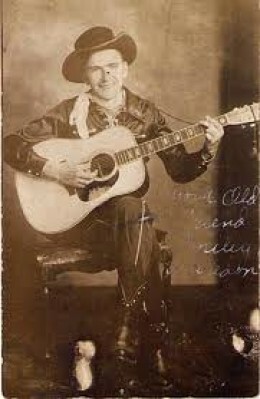 He also liked to play guitar and sing, and often he sang the songs of Willie Nelson. I'll never forget hearing the guy play and sing Blue Eyes Crying In The Rain. It's a slow tempo tune, the chord changes are fairly easy (unless you're only then learning to fret and change chords while trying to strum in time) - grandpa had the voice for it too. Besides learning to strum along to Willie Nelson songs, I spent a lot of time listening to my grandfather tell me everything you could possibly want to know about guitars, mandolins, banjos, and the business of building such things. I learned what was good, why it was good, and what wasn't, and why it wasn't. I learned that Martin guitars were among the finest creations for making music on Earth, and I learned that Gibson guitars were also something to be admired, played, and treated with the utmost respect. 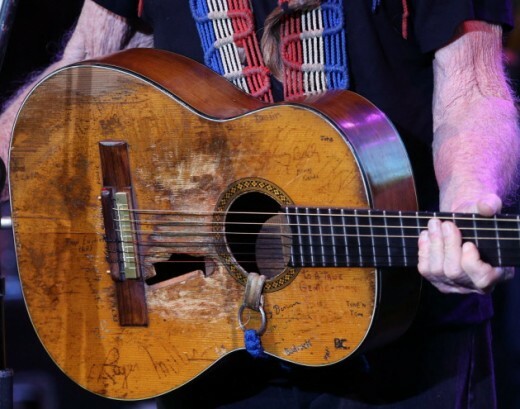 I learned the amazing truth about how Willie Nelson wore a hole in his guitar for playing it so vigorously and so often. I also learned how completely unorthodox Willie's style of playing the guitar was, and why. Besides playing the guitar exactly 'wrong' by conventional wisdom, I also learned his instrument of choice was also 'wrong' for the music he played and still plays. Willie Nelson is a nonconformist, a guy who cares very little for anything remotely resembling a rule. What is this nonsense I said about Willie Nelson playing the guitar all wrong? Listen, I'm a nobody, just a scribbler on the web who can play the guitar a little. 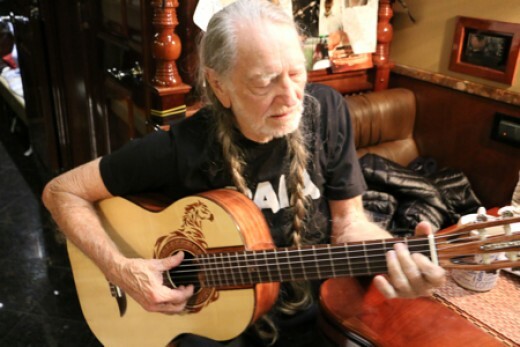 All I'm saying here is Willie's entire style of play is extremely unorthodox, and that you will never in your time on Earth find a guitar instructor who'd teach another person to use the technique Willie Nelson uses to play a guitar. Yes, Willie Nelson plays beautifully. Wille Nelson's technique is his own, and he's very proud of his guitar playing, as he should be. He's instantly recognizable as a singer and a guitarist, and that sort of thing is very very rare. Willie Nelson uses downstrokes almost exclusively in his soloing. This technique is his own, and will never be taught to anyone by an instructor because it prevents the player from ever being able to play very fast. Playing fast is over rated though, and Willie Nelson never needed to do it to sound great. 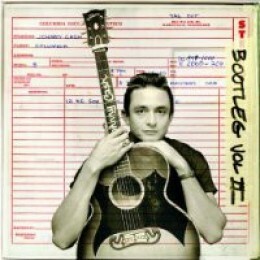 Now you may think of Willie Nelson as a country and western singer and guitarist, but the truth is different. Willie Nelson is secretly a jazz guitarist, he got interested in jazz from the music of Django Reinhardt. Willie is also a guy who infuses a lot of Latin musical styling into his music. The way to be memorable in music is to sound like yourself and no one else. Another strange thing Willie Nelson does involves his guitar, 'trigger.' We're talking about a guitar so famous it has its own Wikipedia page. The thing about it is the particular guitar is a classical guitar, and classical guitars are built for nylon strings. Classical guitars like 'trigger' are meant to be played fingerstyle, but Willie is playing 'trigger' with a plectrum or pick. Now, to be sure, loads of people also do this, but they are not doing it on a classical guitar so much, and when they do it, they typically do that for a song or so - while Willie plays a classical guitar with a pick using almost all downstrokes in every single song of his you will ever hear. The guitar 'trigger' is also an amplified classical guitar. You may find another classical guitar with a pickup installed inside it somewhere in the world, but such things are far removed from normalcy with classical guitars. 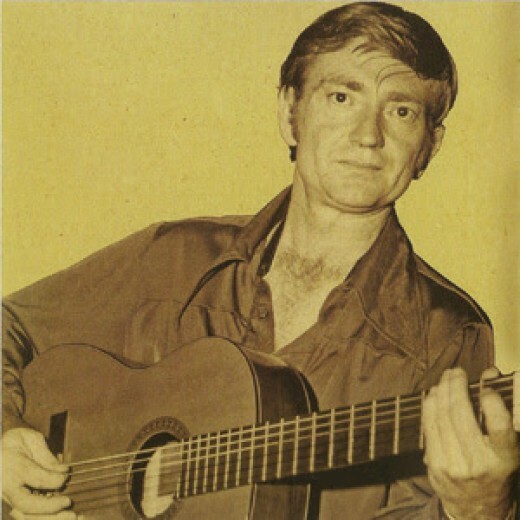 The image above is one of the only images of Willie Nelson with a guitar in hand that isn't the famous 'trigger.' That particular guitar was made for him by a death row inmate. The story of how Willie acquired his nylon string Martin is one well documented elsewhere on the web, but suffice it to say it involved the unfortunate death of the guitar he had been playing, and so he was in a hurry to get a replacement, and wound up with the nylon string Martin he has more or less been married to ever since. Insofar as how and why Willie Nelson fell in love with trigger, it would be pretty shallow for me to describe that here when you can hear it from Willie himself. The following video is just that, Willie Nelson telling the tale of how he and his nylon string guitar, 'trigger,' became inseparable. 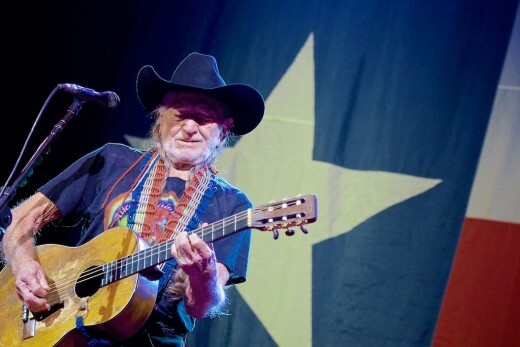 Willie Nelson was born in Abbott, Texas in 1933. Being born and living through the great depression surely made an impact on Willie. The great depression made a lasting and life long impact on everyone I've ever known who'd been through that. He's a poet, a writer, a singer, song writer, actor, and activist. Sometimes Willie will say that what he is truly proud of is his guitar playing. A founding member of the Texas 'outlaw country' music movement - Willie's appeal has never died out, and won't either. He's forever evolved his music, involved loads of younger musical stars in it, and he's always kept writing songs, touring, recording, and speaking out about the things he believes in. He has sold over forty million albums, and on almost all of them he was playing trigger, his Martin N-20 nylon string classical gutiar. C.F. Martin & Company started manufacturing Martin N-20 guitars in 1968. The one Willie Nelson made famous is a 1969 model. The 68' and 69' model Martin N-20s are of a shorter scale than classical guitarists appreciated, so in 1970 Martin started making the same instrument with a longer scale. Construction: Standard, mahogany blocks/dovetail neck join, Body size: N-style classic; Top: Sitka spruce, Top grade – 4; Top braces – non-scalloped, classic bracing. Pattern N-style classic – 18A; Top and back binding – black Boltaron; top inlay - .070” B/W/B/W/B, Rosette: Wood mosaic – N Style; Back, sides and headplate – solid East Indian rosewood. Back panels: 2 piece; Purfling: D-35; Center strip – Sitka spruce; Back and side inlay .0325” B/W, Endpiece: D-35 backstrip used as endpiece. End pin: No end pin or hole. Block: solid genuine mahogany; Truss rod – “T-Rod” non-adjustable, square; Neck: genuine mahogany; Neck shape – Classic; Headstock – Classic/slotted/6-string/no diamond dart. Heel cap: black ebony with .0325” B/W Inlay; Nut on a 2013 version of the N-20 is bone; Headplate decal: small, old style; Scale length: 26.44” flat; Width at nut: 2 1/8”, Width at 12th fret: 2 3/8”, Frets clear of body: 12, Total frets: 19; Side Dots: white Boltaron; Side position markers: one at frets 3, 5, 7, 10, 12 and 15. Neck finish: non-catalyzed Satin/Dark Mahogany stain/dark filler; Finish top: aging toner; bridge: black ebony; String spacing at saddle: 2 5/16”. Bridge: pinless with a tie block. If you are dead set on owning a Martin N-20, then best of luck to you finding one. Thanks for reading. Taylor Guitars - A Unique and Very High Quality American Guitar Manufacturer. Taylor Guitars, the only real threat to Martin Dominance. The only real threat to the dominance of the legendary C.F. Martin & Co. guitar company in the United States, and in fact, the entire world, is the Taylor Guitar Company of California. If you were to go to either Merle Fest, in North Carolina, or The Walnut Valley Festival, in Winfield, Kansas - and view the amazing acoustic guitar competitions there, then the only other guitar manufacturer there, as displayed by the contestants, that poses a threat to the eminence and prestige of the Martin Guitar Company is the Taylor Guitar Company. Oh, the Henderson Guitars are some of the most prized instruments in acoustic guitar circles these days, and they deserve to be there for certain, they are not, however, a mass produced or economic choice of guitar. They cost every penny that they are worth, and you would be placed on a waiting list of at least two years were you to order one. Taylor guitars, however, are more affordable, and easily found. They are top notch in every single way, and are often traditional, and untraditional at the same time. I fully realize that that statement deserves some clarification, and so here you go: Taylor guitars are often very traditional in appearance, and beautiful, very playable, more affordable than Martin, hot rodded from the factory, and an outstanding value - but they are also often pre-equipped with pickups and pre-amps, and they have a unique bracing pattern, which is a complete break from the very common, and time honored Martin X bracing. The Taylor guitar company honors the tradition of great American guitar companies like C.F. Martin & Co., and the Gibson Guitar company, as it should, and it offers comparable models of every major acoustic guitar manufactured, however, most all Taylor guitars come from the factory with a pickup and pre-amp, and is ready to be amplified. These guitars are great stage guitars for that reason - they were born for the stage. 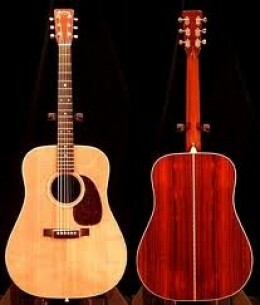 If you're like me, and consider the Martin D 28 to be the standard bearer for all steel stringed acoustic guitars everywhere, then naturally, you'd be very interested in knowing what sort of competition that the Taylor Guitar company provides in regards to a full sized flat top guitar made with solid rosewood back and sides, and a solid spruce soundboard. 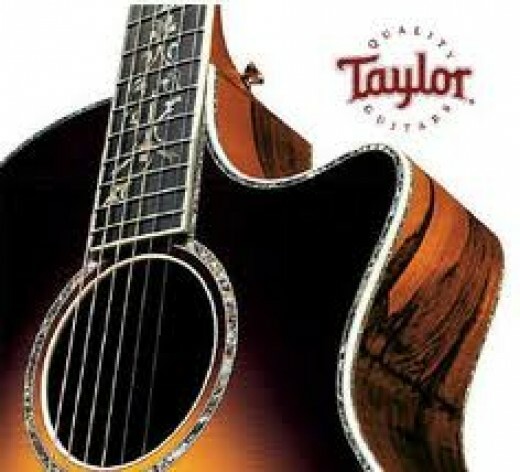 Taylor excels at this, and promptly provides the Taylor 810 guitar, an outstanding guitar in every single way imaginable. The Taylor 810 acoustic guitar already comes with several features in the area that I'll call "hot rodding" that the standard Martin D 28 does not have, such as bone nuts and saddles, bone allows a guitar's strings to vibrate longer, stronger, and louder - and this is highly preferred over any other synthetic plastic, or what not that might be used for nuts, and saddles, or even bridge pins. In fact, all Taylor guitars of solid wood construction already feature these bone improvements to their sound and tonality, and so, I won't bother to type it out again, as you'll already know that the guitars mentioned include these fine upgrade type features as a standard factory feature with Taylor. 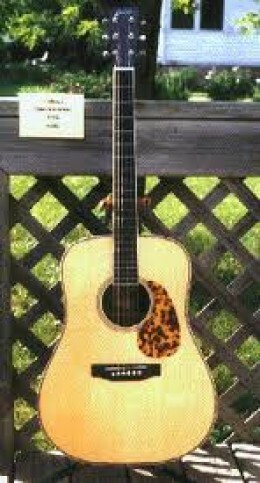 For the reasons I've listed, I will only compare the Taylor guitars to comparable Martin guitars. Above you see the lowest price that I've seen on the net from a major distributor concerning the wonderful Taylor 810. 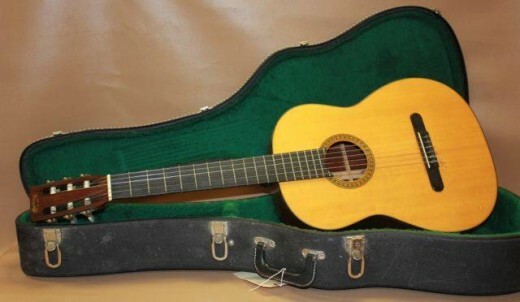 Above, you see a price I found for the very comparable version of the Martin D 28, and as you can see, the price is from eBay, which means that it is definitely a used model, and it costs more than the new Taylor 810. I guess the only exception to anything that I've written above will be found here, where I compare the beautiful Taylor 910 with the Martin D 45. I'll compare this guitar to the standard model Martin D 45, as it's already decked out enough, and actually has more abalone inlay than does the next level up Martin D 45. I've as of yet been unable to find a precise number of precision cut abalone, or "mother of pearl" pieces that are present in the Taylor 910, but for whatever it's worth, the type of inlay pattern has been affectionately named "Cindy." Do not think that because you can not see a pick guard on the picture of the Taylor 910 that there is not one, there is a pick guard, and it is clear, or transparent. At just over $3,000.00 the Taylor 910 with Indian rosewood, solid spruce top,and all of that beautiful inlay work - it's got to be one of the most beautiful, playable, and brilliant sounding instruments available anywhere in the world for that price. The base model Martin D 45 starts at $7,500.00, so you could buy TWO Taylor 910s for that price, and have plenty of spare change left over. Sure, maybe the Martin retains a higher resale value because of the prestige of it's name, but for beauty, playability, and tonality - you be the judge. Also, I'm willing to bet that as the years slide by, the Taylor guitars start to accumulate the same level of admiration, and value that Martin has always had. One of the legendary stories of the Taylor Guitar company is the story of the Taylor Pallet Guitar. In 1995, just to prove that he could, and that the Taylor bracing pattern and craftsmanship was what made his guitars great; and not so much the wood, Bob Taylor made the pallet guitar out of old wooden warehouse pallets. Now, guitars made of pallets aren't about to take over guitar sales domestically, or abroad; but what that guitar does is prove that though you may want those traditional, expensive tonewoods - you don't have to have them to have a very playable, and decent sounding instrument. Construction tops tonewoods is the lesson here. I've done nothing but scratch the surface here. Taylor makes many fine instruments, and the point of this piece was merely to show that though Martin Guitars and the Gibson Guitar Company have solid and legendary names and reputations built with years and years of experience, the Taylor Guitar company is a force to be dealt with. I'd rate Taylor guitars as every bit as good as Martin, and better than most Gibson acoustic guitars, but as always, you should know that no two guitars are ever equal, and that the best guitar is the one that the musician thinks is best. Yamaha acoustic guitars range from beginners level all the way up to guitars that the best of the best would love to play. I've had my hands on more Yamaha guitars than I'll ever remember, and I would recommend the brand to anyone. Here's some details about the three main lines of Yamaha acoustic guitars. 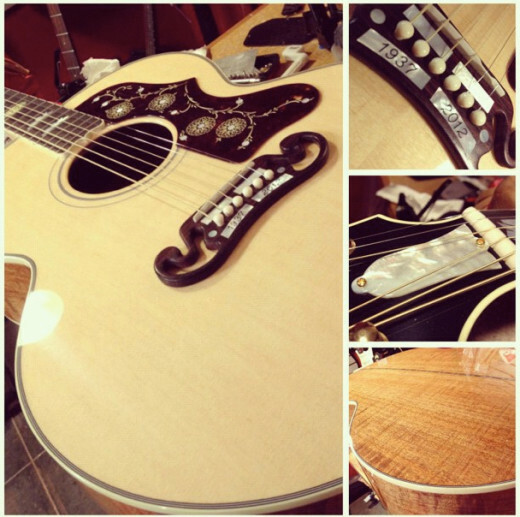 A Beautiful Yamaha Acoustic Guitar With A Sunburst Finish. Growing up I spent many a Saturday early morning riding with my late Grandfather, A.T. Coker, to various and sundry local flea markets or trade days in order to peruse the boothes of vendors and find that super duper deal. Very often what the goal of these journeys was - was to find a nice machine shop tool that the Grandfather could use, or another great bargain on a used stringed instrument. We also always had instruments that had been purchased for little, had minor repairs, and sold for double. Very often the prize find of these Saturday trips were Yamaha Acoustic Guitars. Now, it blows the mind, but often we'd find these guitars for very little money. Yamaha makes wonderful beginner, intermediate, and even professional grade acoustic guitars. Of course everyone will forever be on the lookout for that Martin or Gibson acoustic guitar that they paid less than a hundred dollars for. Those guitars are out there, but they are hard to find, being sold by either desperate, or uninformed persons that either don't understand their value, or stole those guitars and want some cash for them, and to forget about it. I don't advocate buying anything from a theif, I advocate turning them in if they steal guitars - someone steals one of mine and everything they own is in jeopardy. Yamaha Acoustic Guitars - A Superior Bargain! Let me tell you something that is no secret at all to you if you read my articles very often - I'm a total snob when it comes to acoustic guitars. Personally, I own a Santa Cruz acoustic guitar that is one of the five to ten finest instruments that I've ever played, and trust me here - I've played more very expensive acoustic guitars than most persons have ever laid eyes on. I'm just an acoustic guitar snob, I'm not the least bit ashamed of it either, so when I tell you that Yamaha Acoustic Guitars are superior instruments for the price - and especially in the beginners to intermediate range, I'm telling you what I know, and I'm telling you the truth. Quite simply, most buyers are looking to have a brand name like Gibson or Martin on their acoustic guitar - and unless you are buying one of those two company's all solid wood construction, and high end guitars, then you are better off buying Japanese guitars like Yamaha. If you are just in love with those names, "Martin," or "Gibson," and you aren't buying one of their all solid wood construction guitars, hey, more power to you. I just hope someone doesn't make you feel too bad when their Yamaha or Takamine, or Alvarez acoustic guitar blows yours away. I almost exclusively write about and review steel string acoustic guitars, and in that arena the Yamaha guitar company makes three major lines of guitars, the F series, the FG series, and the L series. Of course Yamaha Acoustic Guitars are not limited to these three series of instruments - they also produce classical guitars, thin line acoustic electric guitars, and standard sized acoustic electric guitars - and others still. But the F, FG, and the L series are the straight acoustic and steel string flat top acoustic guitars that I'm most familiar with, and that I will discuss in a bit more detail. The F Series Acoustic Guitars by Yamaha: The F series guitars are made from laminated woods, these are the least expensive type of steel string guitars by any manufacturer - as the materials are cheap. These guitars are ideal for students. I'd actually like to own one to carry around with me, or take camping, hiking, or travelling. There's no need to own or purchase a more expensive acoustic guitar until one is certain that they are interested in music enough that they will be spending and dedicating time to that. 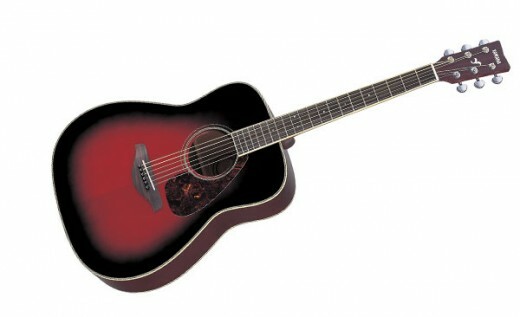 The FG Series Acoustic Guitars by Yamaha: The FG series of guitar are what I'd call intermediate level guitars. The first major upgrade from an all laminate guitar is a guitar with a solid top or soundboard, and usually the soundboard will be spruce. The back and sides of these guitars will still be laminate woods - the solid top provides a louder and clearer and sweeter tone. These are great guitars - and only very serious or otherwise financially able persons will want or need the next level up of Yamaha's Acoustic Guitars. The L Series Acoustic Guitars by Yamaha: These are the high end, all solid wood construction guitars that are bound to be acoustic guitars that will last a lifetime. These guitars are good enough to last several lifetimes when cared for properly, and will play and sound as good or better than anyone else's guitars. These are keepers, and these are bargains. It's just a plain fact that you can land one of these guitars used for way less than you can a comparable guitar by Martin, Gibson, Taylor - or any other American or Canadian guitar manufacturer. Sure, your friends who own a Martin will always think their guitar is better than yours if you own one of these - sometimes the joke will be on them, and especially after they play your Yamaha L Series guitar, and find out what you paid for it! I hope I was able to shed some light on the value of Yamaha Acoustic Guitars for you here. In time I may get into reviewing specific models of these guitars. I'm forever writing about . . . .my absolute love for steel string acoustic guitars, the people that play them, and their music. Cheers to all, and I'm always very willing to answer any questions that you might have.